While Euclidean’s YTD results and the monthly numbers behind them seem somewhat “placid”, they mask wide intra-month and daily swings. As investors have focused on macro developments (e.g., Brexit, speculation around potential Fed action, the election, etc. ), our companies’ share prices have made big moves even when there has been no company-related news or new financial results. These recent swings have occurred in the context of a long-lived bull market. During recent years, the most expensive stocks attracted a dominant share of investment dollars and upward price momentum, while the most undervalued stocks lagged behind. As a result, the valuation difference between the two groups widened. Certainly, if interest rates remain low and investor enthusiasm for fast-growing companies strengthens, this spread may remain or widen further. Thus, what ultimately carries the day when investing is the relationship between a company’s business strength and its market price. Both parts matter. The fastest-growing businesses have often proven to be terrible investments when bought at very high prices. And, companies experiencing recent setbacks have often turned into big winners when bought at points of high pessimism. Our point of view has been informed by using machine learning to seek lessons for investing in public companies that could put odds on our side across a market cycle. The lessons we found have us avoiding investments in companies whose market values cannot be justified on the basis of previous, actual results. Instead, we direct Euclidean’s investment dollars toward companies with good qualities and long operating histories when their shares are offered at pessimistic prices. In this sense, we are deep-value investors. Across several years, value investing has been out of favor. 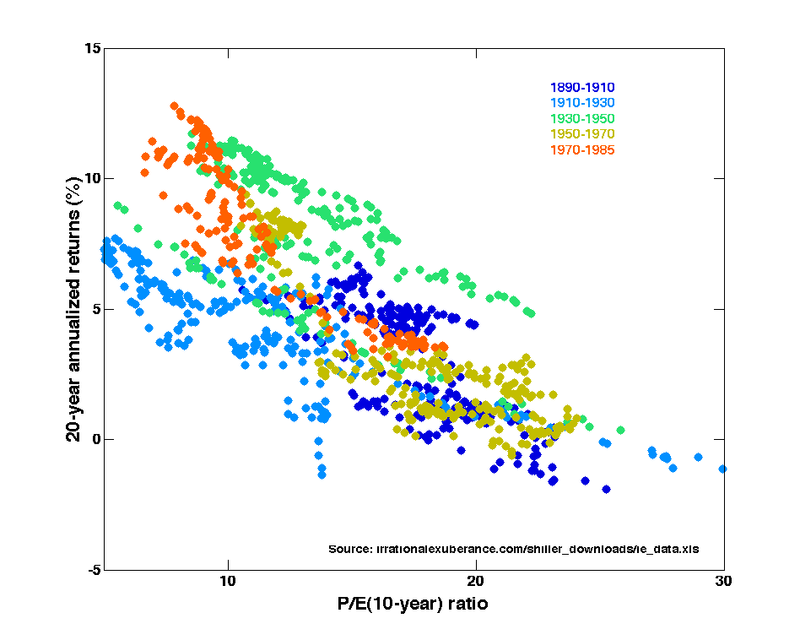 As a result, valuation spreads between the cheapest and the median stocks have widened. As detailed in a recent report from Pzena Investment Management, it appears that following periods of similarly wide spreads in the past, value investing has performed well. In previous market cycles, expensive “growth” stocks have come in and out of fashion in relation to their inexpensive “value” counterparts. There is some evidence  that we are emerging from the longest period in recent history of growth outperforming value. When this has occurred in the past, value strategies have historically gone on to deliver strong absolute and relative returns. The market as a whole is expensive in relation to earnings. It is reasonable to expect valuation multiples to compress over time. While value investing has delivered attractive results across previous market cycles, its performance advantage appears to have been most pronounced across years of compressing earnings multiples. Thus, given this environment, our process, and the portfolio we hold, we are optimistic about Euclidean’s prospects. Although we cannot control how the markets value our holdings in the short term, we do control where we devote our energy along the way. Our primary focus is adhering to an investment process that we believe is well positioned to capitalize on the opportunity just described. While we do so and oversee the fund, we also live in an interesting time — there is a great renaissance going on with the technologies that we use to find meaning in the vast body of corporate and stock market history. These tools are behind improvements in self-driving cars, computers that can teach themselves how to master various games, and machines that have achieved better-than-human skill at image recognition. So, we devote the balance of our energy to exploring how the technologies and practices behind these developments might add to our investment process in the future. To help you understand the work that we do and empower you to better evaluate our thinking, we have recently begun to describe a recent research project through a series of blog posts that comprise the Deep Learning & Long-Term Investing Blog Series. If you are interested in how to structure the data and use algorithms to predict how a stock will perform, then you might enjoy reading these posts. Or, if you would like to understand some of the big challenges inherent in model building and how to address them, then pour yourself a cup of coffee and read away. In the meantime, please reflect on this parting view: while it’s easy to make predictions, it’s not so easy to make predictions that come true. The forecasts of market “gurus” are accurate less than half the time , and analysts show a strong tendency to predict that recent trends will continue into the future . Even company CFOs show an astonishing inability to predict where the market will be 12 months from now . Thus, devoting energy to predicting macroeconomic and political developments, or attempting to time the market, seems like a fool’s errand. In our view, what matters most is having a sound investment process and adhering to it across a very long period of time. To explore some of the data regarding the futility of forecasting, please see the following resources: David Dreman – Contrarian Investment Strategies; James Montier – The Seven Sins of Fund Management; Phillip Tetlock – Expert Political Judgment How Good Is It? How Can We Know?